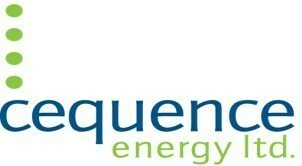 CALGARY, July 27, 2018 /CNW/ – Cequence Energy Ltd. (TSX: CQE) (“Cequence” or the “Company“), is very pleased to announce a series of transactions that will refinance the Company’s balance sheet, and thereby provide greater flexibility and liquidity to execute the ongoing business plan of the Company. Firstly, Cequence has entered into a refinancing agreement with CPPIB Credit Investments Inc. (“CII”) providing for a $60 million second lien senior secured term loan facility due October 3, 2022 (the “Term Loan“). This facility will bear interest at 5% and will be used to retire the existing $60 million in senior notes held by CII. Concurrently with the Term Loan, Cequence announces that that it plans to complete an exempt market rights offering pursuant to which holders of the Company’s common shares will be issued rights to purchase flow-through common shares of Cequence at a price of $0.035 per share for gross proceeds of not less than $5 million (pursuant to the backstop described further herein) and up to $8.6 million (the “Rights Offering“). Cequence expects that the Rights Offering is expected to close on or about September 13, 2018. Additionally, Cequence has received commitments from its lenders to extend its senior secured revolving credit facilities (the “Credit Facility“) until September 28, 2018. The existing Credit Facility has a borrowing base of $9 million, and with the exception of letters of credit outstanding of approximately $1.5 million, there are currently no amounts drawn under the Credit Facility. Upon closing of the Rights Offering and Term Loan, the Company has received a commitment from its lender to further extend the maturity date of the Credit Facility to May 31, 2019 with a borrowing base of $7 million. Together, the Term Loan, renewed Credit Facility and proceeds from the planned Rights Offering will allow Cequence to more actively develop its high impact Dunvegan light oil play which has continued to generate economic well results that are in excess of management’s expectations. The Dunvegan operating results, recent increase in oil pricing, and Cequence’s netback initiatives have all had a positive impact on funds flow from operations. As a result, the reduction in the Credit Facility borrowing base is not an impediment to Cequence’s planned capital expenditures and cash flow growth initiatives. Under the terms of the loan agreement dated July 26, 2018 (the “Loan Agreement“), Cequence’s existing $60 million senior notes due October 3, 2018 held by CII will be refinanced with the Term Loan. Interest payable pursuant to the Loan Agreement will be paid quarterly at the rate of: i) 5% per annum if 12-month trailing Funds Flow from Operations is equal to or less than $40 million; and ii) 10% per annum if 12-month trailing Funds Flow from Operations is greater than $40 million. The definition of “Funds Flow from Operations” is defined in the Loan Agreement. At any time prior to maturity, Cequence may prepay all or any portion of the Term Loan without penalty, subject to certain restrictions placed on the Company under its Credit Facility. Cequence has agreed to grant CII security over all the Company’s present and after-acquired real and personal property (with the exception of its Simonette JV property), which will rank junior in priority to the security securing the obligations under the Company’s Credit Facility pursuant to an intercreditor agreement which will be concurrently entered into among the Company, its subsidiaries, CII, and the Company’s senior secured lender upon closing of the Rights Offering and Term Loan. Under the terms of the refinancing, Cequence has also agreed to issue CII share purchase warrants entitling CII to purchase common shares of the Company representing approximately 36.8 million shares or 15% of the fully diluted common shares of the Company, prior to giving effect to the planned Rights Offering, at a price of $0.10 per common share, exercisable for 4 years from the date of issuance. The Loan Agreement is subject to the successful closing of not less than $5 million under the Rights Offering. Under the terms of the Rights Offering, Cequence is planning to offer a total of 245,527,882 rights and each eligible holder will receive one right for each common share held and will be entitled to receive renunciations of Canadian development expenses from the Company as contemplated under the Income Tax Act (Canada). The Company expects to have standby commitments in place from two of its directors, Messrs. Archibald and Crone, that will, collectively, guarantee that at least $5,000,000 will be raised under the Rights Offering. More details on the Rights Offering will be set out in a rights offering notice and rights offering circular, both of which will be available under Cequence’s SEDAR profile at www.sedar.com once they have been finalized after consultation with the TSX. The rights offering notice and accompanying rights certificate will be mailed to eligible shareholders as at a record date to be determined by the Company. The Rights Offering will be conducted in Canada only. However, certain approved eligible holders of the Company’s common shares in jurisdictions outside of Canada may be able to participate in the Rights Offering. Information about how holders of Cequence’s common shares that reside outside of Canada will be included in the rights offering notice and rights offering circular. As previously announced, the Company’s recent 3 gross (2 net) Dunvegan oil wells continue their strong performance with the Company’s June 2018’s monthly field estimate averaging 1,245 bbls of oil per calendar day up from 245 bbls of oil per day reported in the first quarter of 2018. The 100% working interest 15-4 well and the 50% working interest 12-14 well had gross field estimated production of 893 bbl/d and 363 bbl/d respectively for the month of June. The new 11-14 well (50% working interest) remains down awaiting a service rig and is expected to be back online by the end of July. The last seven-day operating average production rate for the 11-14 well was 430 bbls of oil per day. All three of the new wells have produced above the Company’s internal Dunvegan oil model forecast of 300 bbls oil per day. The Company has identified an additional drilling inventory of 26.5 net Dunvegan locations on its land. Since April 1, 2018, the Company has been selling 10,850 GJ/d of gas in the Dawn, Ontario market. The Dawn marketing arrangement has provided the Company diversification away from the volatile AECO prices for approximately 1/3 of its gas production. In the month of June, the average AECO 5A price of gas was approximately $0.96 Canadian per GJ while Dawn averaged approximately $3.44 Canadian per GJ. The previously announced April 19, 2018 north east British Columbia asset disposition is in process of being reversed. A post-closing assessment by the B.C. Oil and Gas Commission of the specific purchaser’s asset transfer deposit requirement increased seven (7) fold. As such, the regulatory aspect of the asset transfer has been frustrated. Cequence’s British Columbia assets produced approximately 715 boe/d in the first quarter of 2018 and have a current LMR of at least 1.0. No incremental deposit requirement is needed by Cequence for these assets. Cequence will continue to seek opportunities to divest its British Columbia assets, as they remain non-core to the Company’s long-term strategy. The Company’s guidance for the year ended December 31, 2018 includes the results of the first quarter, the 3 gross (2.0 net) Dunvegan oil well results, the restructured $60 million CII Term Loan (with its 5% interest rate), a minimum Rights Offering equity raise of $5 million, the inclusion of the north east B.C. asset operating results, and an additional planned 2 gross (2 net) Dunvegan oil wells drilled and on production in the fourth quarter of 2018, and 4 gross (4 net) Dunvegan oil wells drilled and on production in 2019. As a result, oil production increases from 245 bbl/d in the first quarter of 2018 to an expected average second half 2018 rate of 1,050 to 1,150 bbl/d. The increase in oil production combined with improved oil prices and the Dawn, Ontario gas contract provide an estimated second half 2018 funds flow from operations of approximately $12.5 million. Oil and natural gas liquids are estimated at 27% for 2019.
liabilities expenditures and net changes in non-cash working capital. the senior notes and is calculated based on the minimum standby commitment of $5 million received less estimated costs of $125,000. 2019 respectively and funds flow from operations would be $0.05 and $0.04 for December 31, 2018 and 2019 respectively. Cequence is pleased to announce that Kevin Nielsen, CPA, CA, has joined the company as Contract Interim Chief Financial Officer. Mr. Nielsen has 19 years of public accounting, financial reporting and leadership experience and was most recently an Audit and Assurance Partner at a major international accounting firm, where he specialized in serving upstream oil and gas companies. Mr. Nielsen’s background and experience will be a significant asset to Cequence as the organization completes the transactions described above and continues to pursue various strategies for the benefit of the Company and its stakeholders. The Board of Directors of the Company would like to thank Howard Crone for his additional efforts and responsibilities in assuming the role of Interim CFO during this transition period. Mr. Crone will continue serving in the previously announced role of Executive Vice President. Peters & Co. Limited acted as financial advisor to Cequence. Norton Rose Fulbright Canada LLP acted as legal counsel to Cequence. Certain statements included in this press release constitute forward-looking statements or forward-looking information under applicable securities legislation. Such forward-looking statements or information are provided for the purpose of providing information about management’s current expectations and plans relating to the future. Readers are cautioned that reliance on such information may not be appropriate for other purposes, such as making investment decisions. Forward-looking statements or information typically contain statements with words such as “anticipate”, “believe”, “expect”, “plan”, “intend”, “estimate”, “propose”, “project” or similar words suggesting future outcomes or statements regarding an outlook. Forward-looking statements or information in this press release may include, but are not limited to, the impact of the completion of Cequence’s debt refinancing and the terms thereof; the Company’s lender’s support for the extension and the new borrowing base of the Company’s Credit Facility; the Company’s intention to complete the Rights Offering and the timing thereof; the exercise price of the rights offered under the Rights Offering; the guaranteed minimum proceeds from the Rights Offering; and the Company’s outlook and guidance for 2018. Forward-looking statements or information are based on a number of factors and assumptions which have been used to develop such statements and information but which may prove to be incorrect. Although the Company believes that the expectations reflected in such forward-looking statements or information are reasonable, undue reliance should not be placed on forward-looking statements because the Company can give no assurance that such expectations will prove to be correct. In addition to other factors and assumptions which may be identified in this press release, assumptions have been made regarding, among other things: the impact of increasing competition; the timely receipt of any required regulatory approvals; the Company’s lender’s support for the extension and the new borrowing base of the Credit Facility; the ability of the Company to satisfy the conditions precedent to the Loan Agreement and any other closing conditions relating to the Term Loan or the extension of the Credit Facility; the ability of the Company to obtain qualified staff, equipment and services in a timely and cost efficient manner; the ability of the operator of the projects which the Company has an interest in to operate the field in a safe, efficient and effective manner; the ability of the Company to obtain financing on acceptable terms; field production rates and decline rates; the ability to replace and expand oil and natural gas reserves through acquisition, development of exploration; the timing and costs of pipeline, storage and facility construction and expansion and the ability of the Company to secure adequate product transportation; future oil and natural gas prices; currency, exchange and interest rates; the regulatory framework regarding royalties, taxes and environmental matters; and the ability of the Company to successfully market its oil and natural gas products. Readers are cautioned that the foregoing list is not exhaustive of all factors and assumptions which have been used.